Up at the crack of dawn! 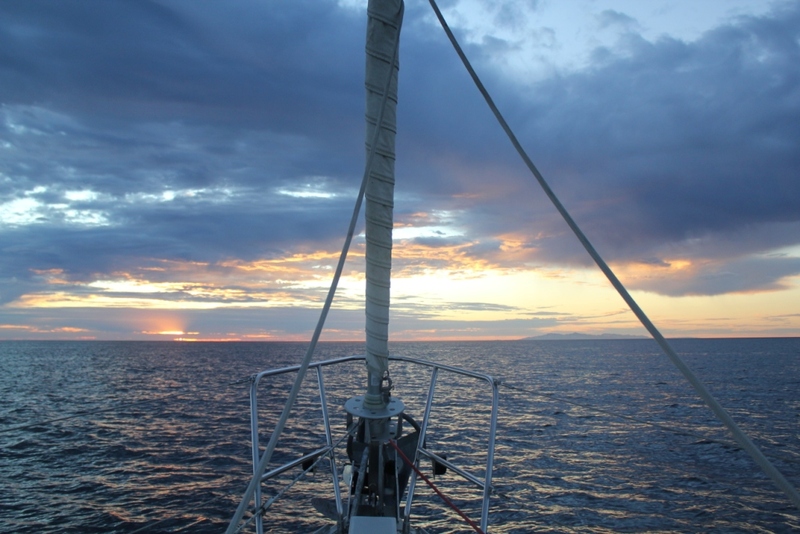 Actually, it’s still dark as we pull up the anchor… But we like to leave early in the morning, and I just love to see the sun rising: one Mother Nature’s best performances. The Color Palette changes every minute! Another pleasant, seven-hour long hop, and we arrive in the neighborhood of Bahia de Los Angeles. This time we anchor in Ensenada La Gringa. There are a couple of boats sharing this very spacious anchorage, one we know and one we don’t. Tom quickly remedies that, and we make new friends! 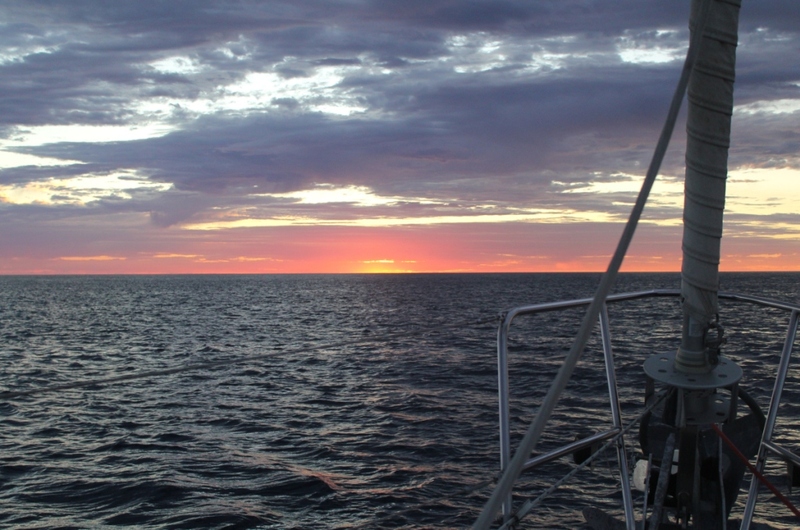 We meet the very welcoming Australian family aboard the catamaran Sonrisa. Nick and Melissa (Mel), and their two sons: Benjamin, 5 yrs old, and Huon, two yrs old. It’s always great to exchange sea-stories, especially with people that have gone farther and longer than we have. What a nice time we had with them! We’ll stay in La Gringa for just a couple of days.